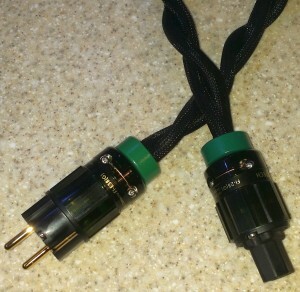 Some people make due and are happy with the standard version of the Cheetah power supply cable. An all-rounder. One that does not accent any specific range of frequencies within the audio presentation. Executed with 2x 16 (yes, that is sixTEEN, and not one point six) squared millimeters of cross sectional area of each of the metal conductors, the impedance of this supply line is inherently low. This allows for massive amounts of unhindered power to be delivered to your system. Delivered at the time and instant when it is needed. 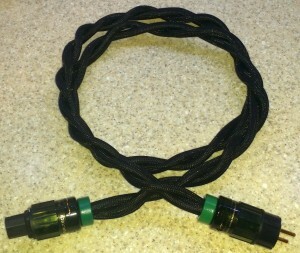 16mm2 is equivallent to 5 AWG in the US terminology. BTW …. Why did I name these cables “Cheetah”? Because the Cheetah is an animal which is the quickest known runner on Earth. It is FAST. It has the SPEED. And so does this series of cables. It does not slow you down in the delivery of power transients, which, in turn, are necessary to deliver musical transients. Some of you physical and analytical guys will say “blah, blah, blah” …. That Ziggy is Full of Bull. How can a cable be “fast” or “slow” ? Well, believe me, not more than 5 years back I would have been on your side of the fence, laughing out loud at these types of statements. But I learned. I listened. I tested. Various versions.Various executions. And YES, specific executions of this or that particular power supply cable DO MAKE a DIFFERENCE in the way that you perceive the quality of the musical presentation of your top notch audio system. 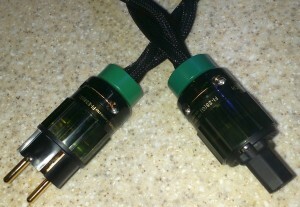 OK, so I will now present to you some photos of the “all rounder” Cheetah Standard cable.